I often visit homes that are on the market with old, sagging sofas that haven’t been in fashion since the 1980s! 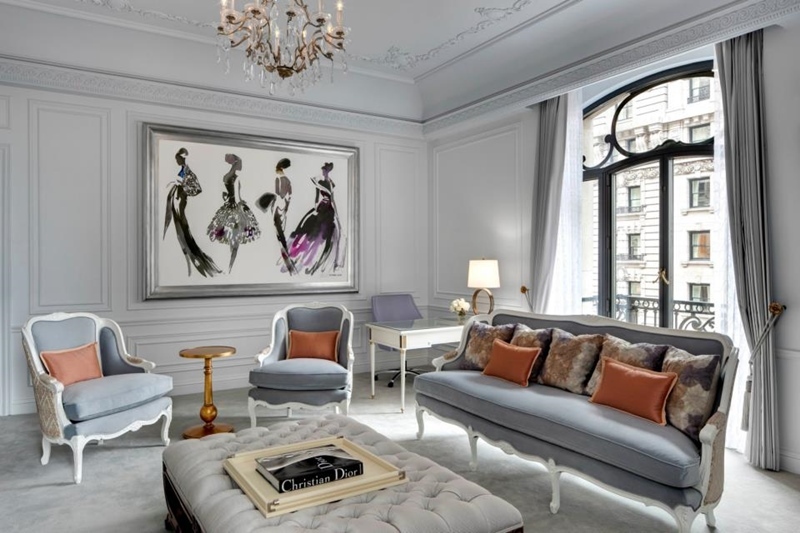 When the homeowner tells me they plan to replace their suite when they move, I urge them to do it now instead, to help the house become more saleable. Old sofa equals dated house, or that’s what a buyer will think. A new modern sofa will really add a stylish look to your living room and prove a worthwhile investment for you. How is your carpet looking? Is it heavily patterned, darkly-coloured, or both? Would a professional clean refresh it, or does it really need replacing? A dirty, worn and dated carpet will give the impression that the house hasn’t been looked after, so if you want to portray a well-presented home, it may be worth investing a few hundred pounds in a new, neutral carpet. This can really make or break the impact of your living room. Downlighters and table lamps can create a cosy atmosphere; uplighting can add a splash of drama. If you have overhead lighting, it’s usually best to leave that off and create a real feeling of homeliness with your additional lighting choices. You don’t need to paint everything magnolia, but you do need to present a buyer with a décor that they will like, as much as you can do. Whilst you haven’t got mind-reading powers (I assume!) few people will be put off by neutral, modern colour schemes. If you have a feature wall in say, vibrant purple, you are risking alienating anyone that doesn’t like purple, so play it safe and go for neutral shades. If you can’t justify a new sofa, perhaps new cushions will help to refresh the look of your living room. A recent client of mine bought a really inexpensive cream Ikea sofa, then added some lovely colourful cushions in rich fabrics, to add a real feeling of luxury without a big spend. 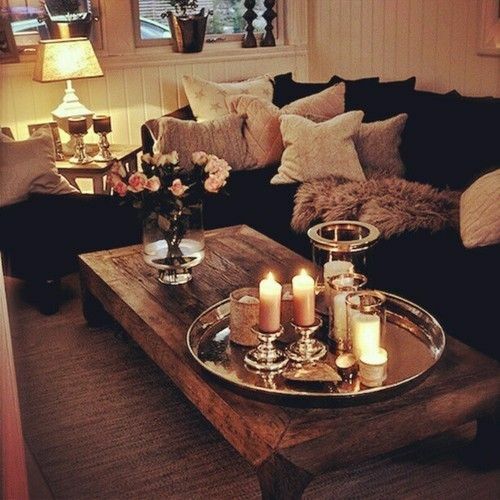 Have a look around your living room at your ornaments and other accessories. Are any of them new and stylish? Or do you have little collections of old-fashioned ornaments you’ve gathered over many years? If they have sentimental value, why not parcel them all up now ready for your forthcoming move? That way you can clear the space for some pieces that are in keeping with current home style and perhaps that match your new colourful cushions. If your walls and surfaces are covered in personal family portraits, it’s time to take them down, and box them up for your move. Generally speaking, it’s best if art is neutral and not distracting, like the kind of bland style you see in hotels. 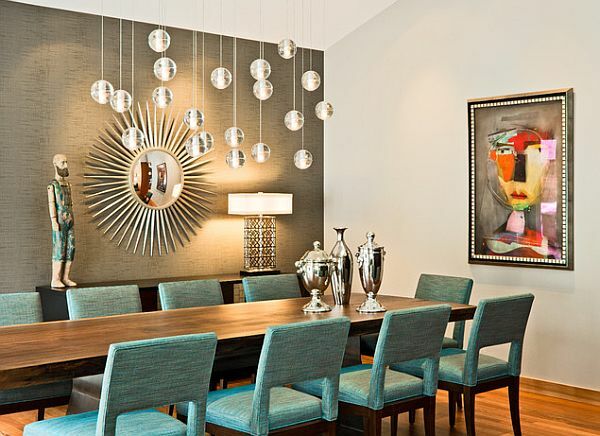 Lots of mirrors and large pictures in a style and colour to match your living room, will lift your presentation and add a feeling of coordination and harmony. These days, many living rooms are dominated by a large black box, aka your tv! Unless you have one of those high-tech mirrors that magically transforms into a tv at the touch of a button, you need to consider how you are going to diminish its impact however you can. 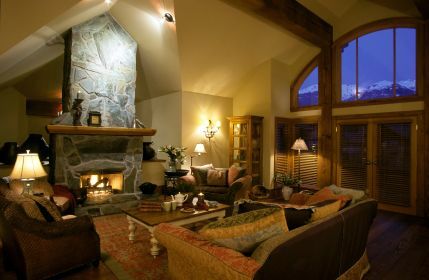 Try rearranging the furniture around the fireplace or other feature, rather than grouping it around your tv. You may not be able to live with the furniture in that position, but it’s worth placing it especially for your photography and viewings. How does your living room feel? Does it have a nice sense of calm and tranquility that makes it feel like somewhere you want to be after a busy day at work? Consider the way it smells, and sounds, as well as the way it looks. Lightly scented candles and some background music can really enhance the feeling of your living room and provide a restful space so that your viewers can relax. Before you have your photographs taken, or book a viewing, take a last look at your living room with a critical eye. Take away anything that doesn’t improve the look of the room, like wastepaper bins or piles of magazines, and add a vase of flowers and a beautiful coffee table book, and voila! Your room is ready. Home staging really doesn’t have to cost much, but it can pay dividends!